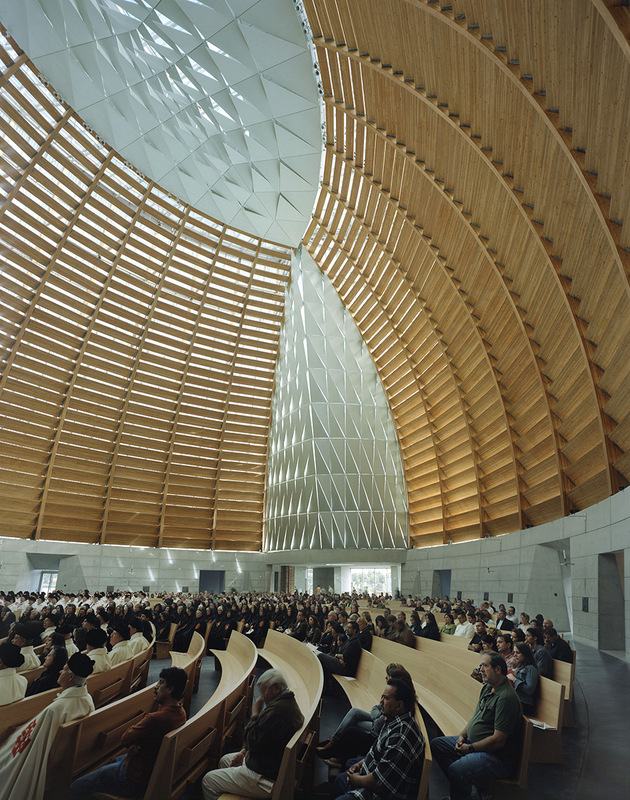 The heart of a Diocese is its Cathedral. 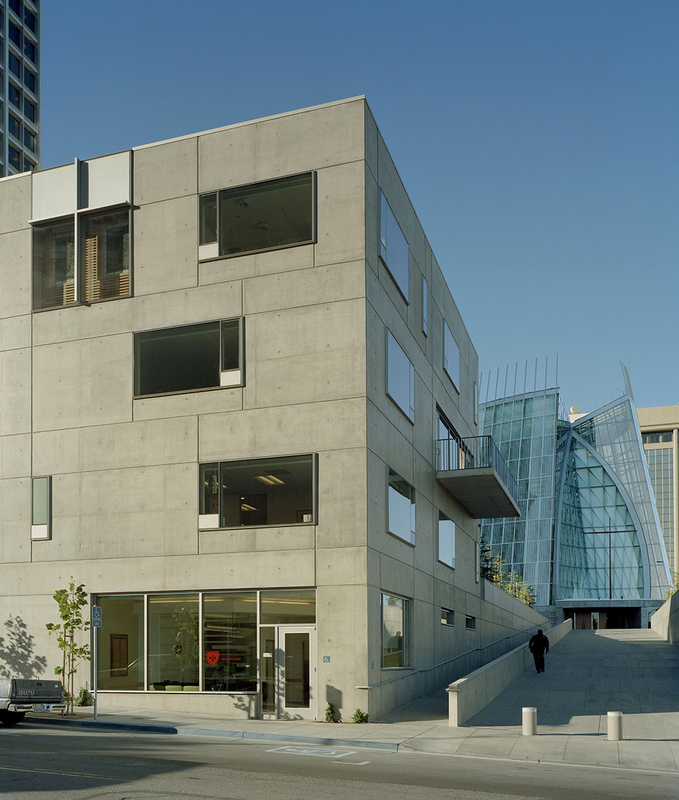 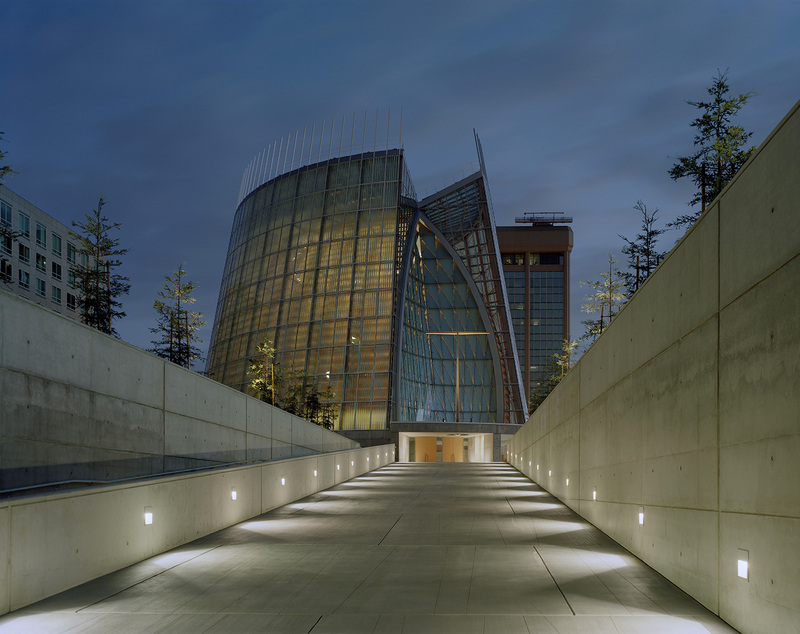 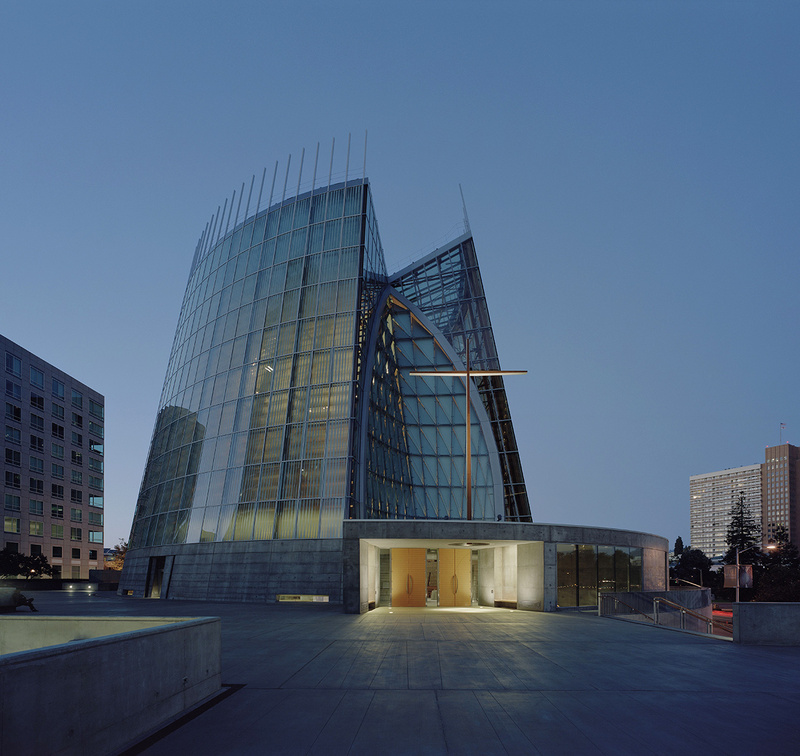 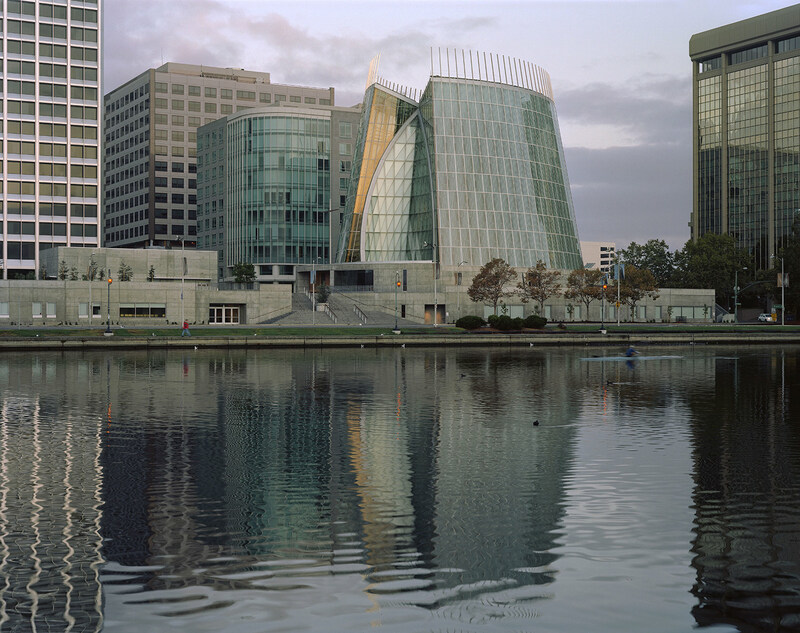 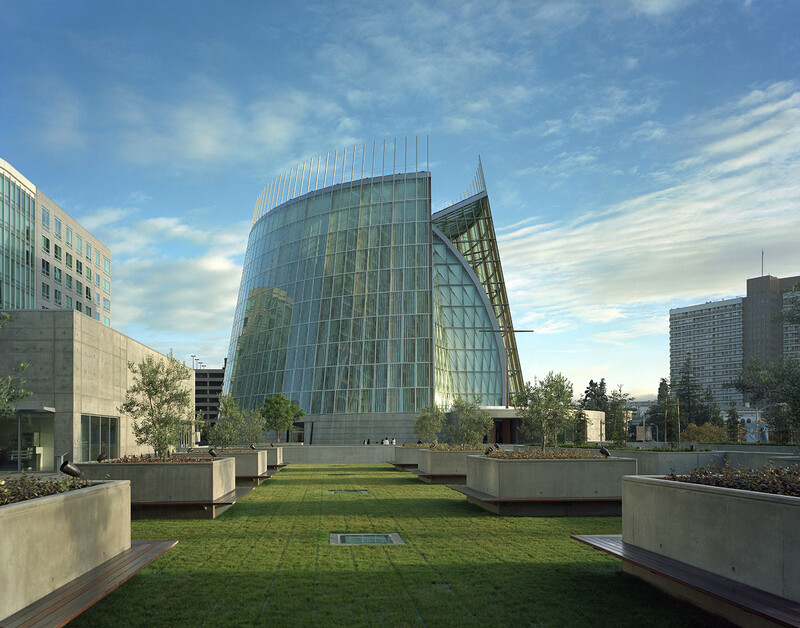 The Cathedral of Christ the Light is located on 2.5 acres of land overlooking Lake Merritt in downtown Oakland. 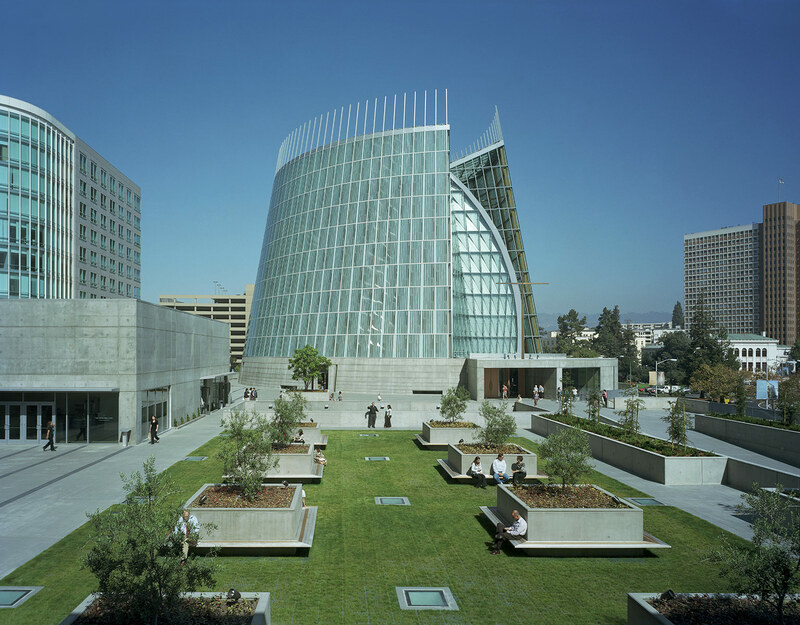 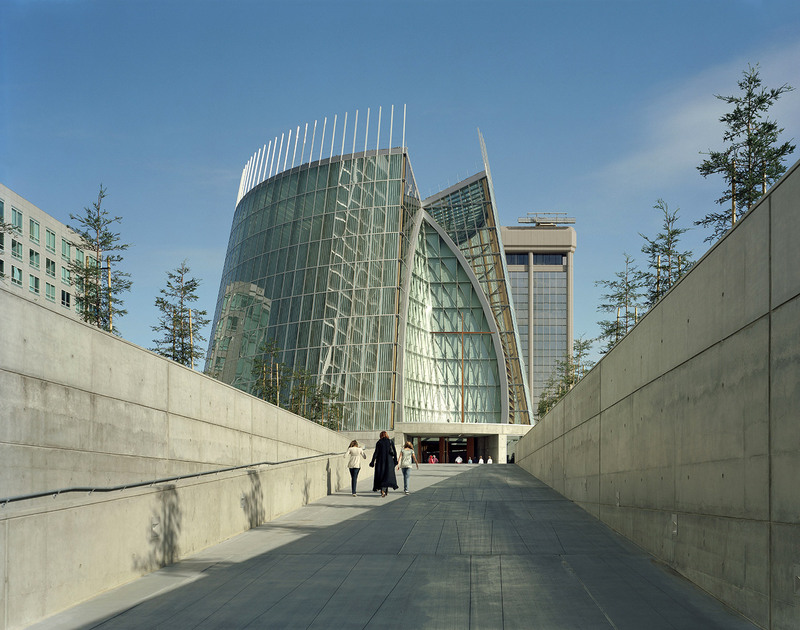 The complex consists of a mausoleum, the Cathedral Parish of Christ the Light (the sanctuary), a conference center, chancery office, the rectory and residence, a public plaza and garden, and a café, bookstore and below-grade parking.. 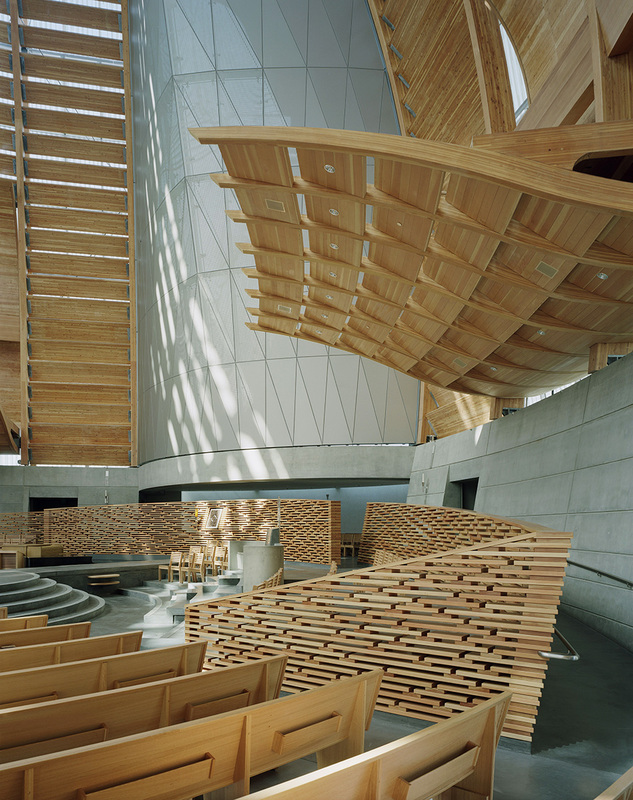 The sanctuary is designed as a seismic base-isolated structure over the Mausoleum below. 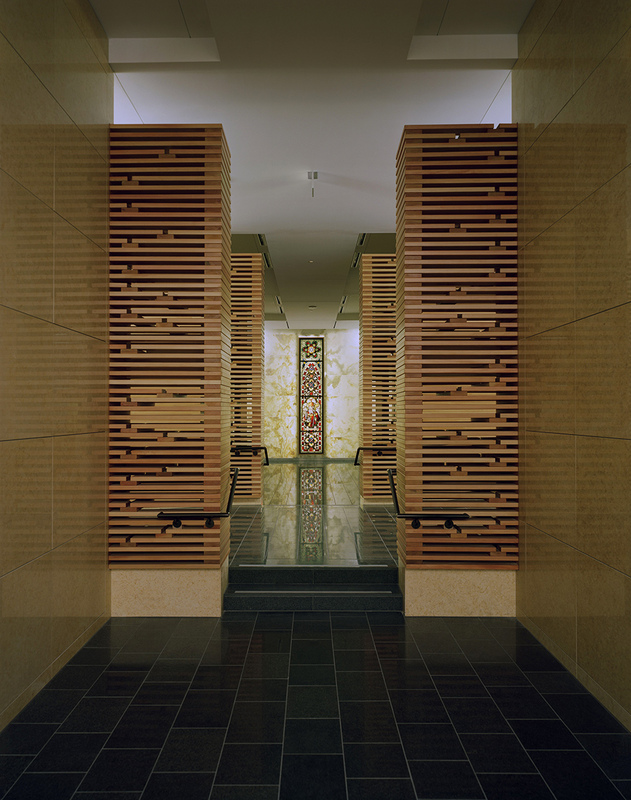 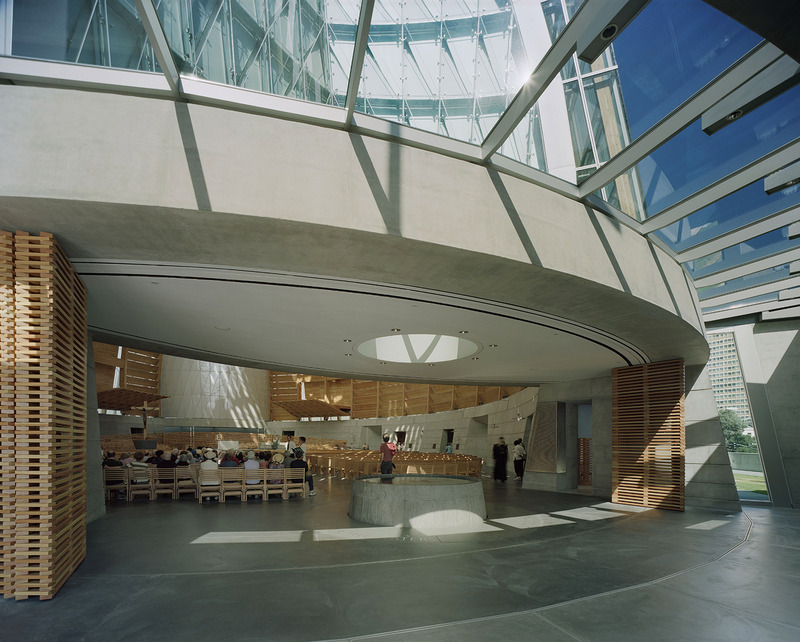 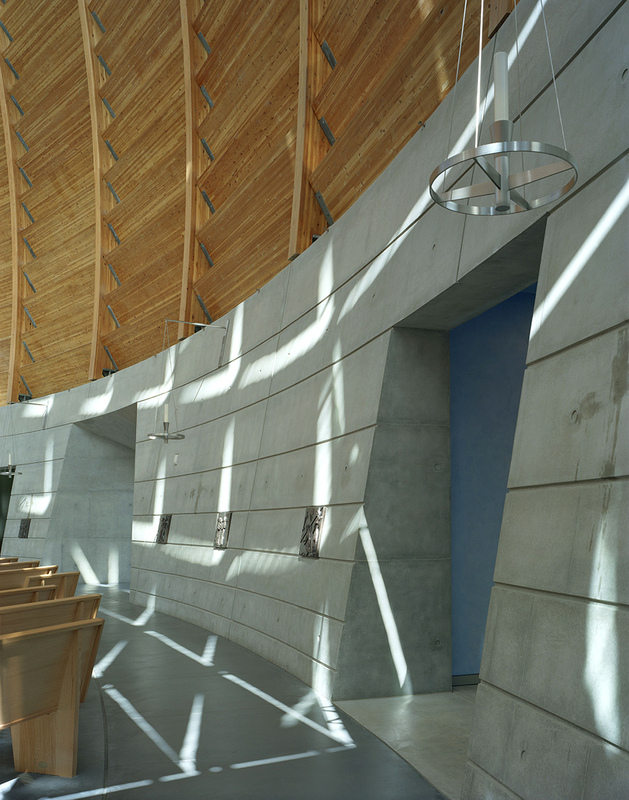 An under-floor air displacement system and radiant floor panels are utilized in the sanctuary seating areas to optimize occupant comfort and energy efficiency. 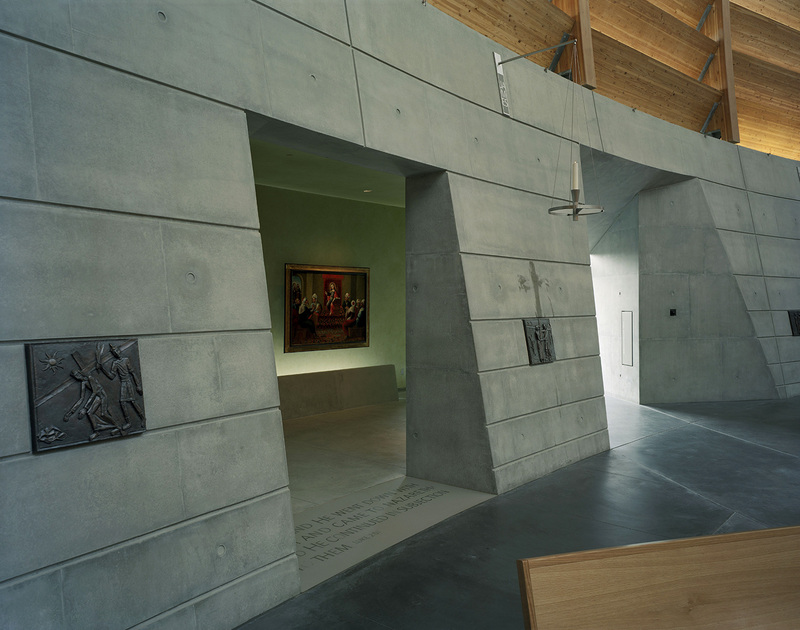 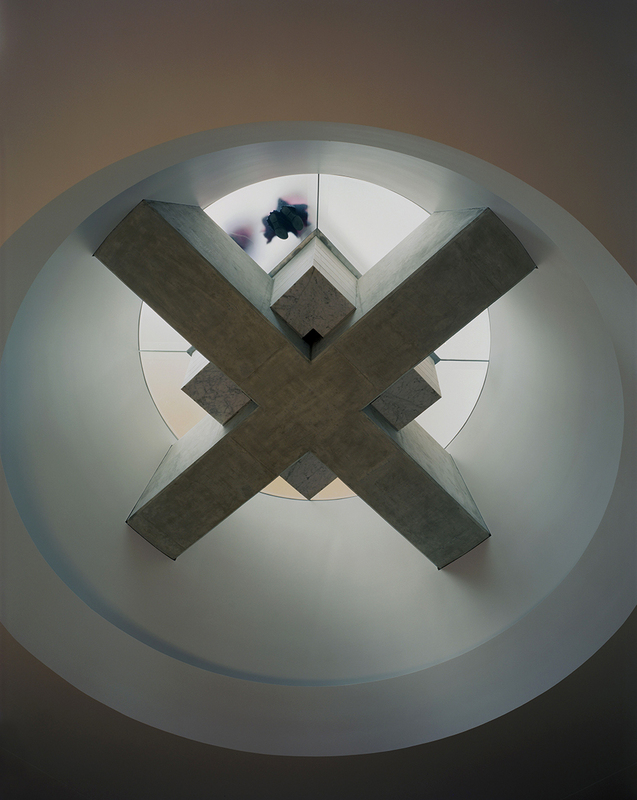 The base of the lens-shaped sanctuary is enclosed by a 15 ft. high concrete wall punctuated at intervals by a series of small chapels. 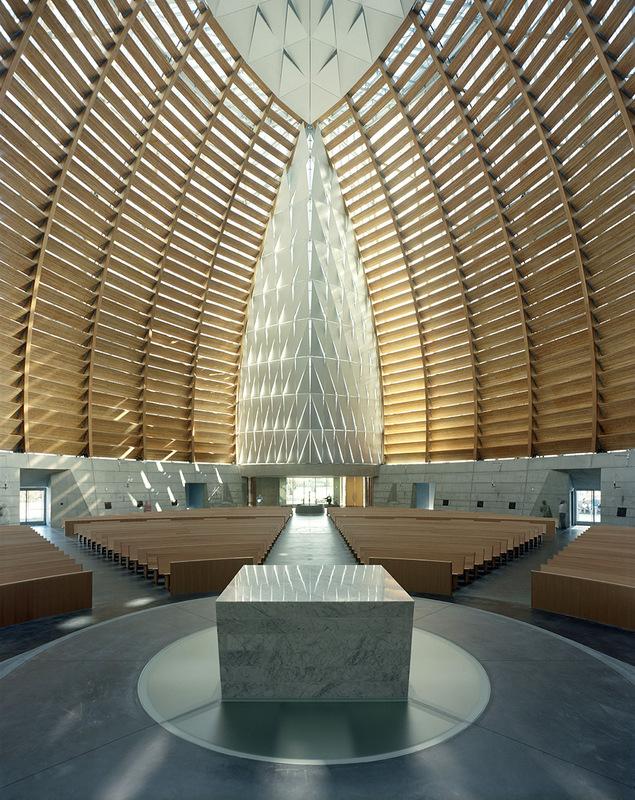 Douglas fir laminated rafters and glass panels create a dramatic glass and wood shell that soars above the concrete base wall to a dramatic height of 117 feet. 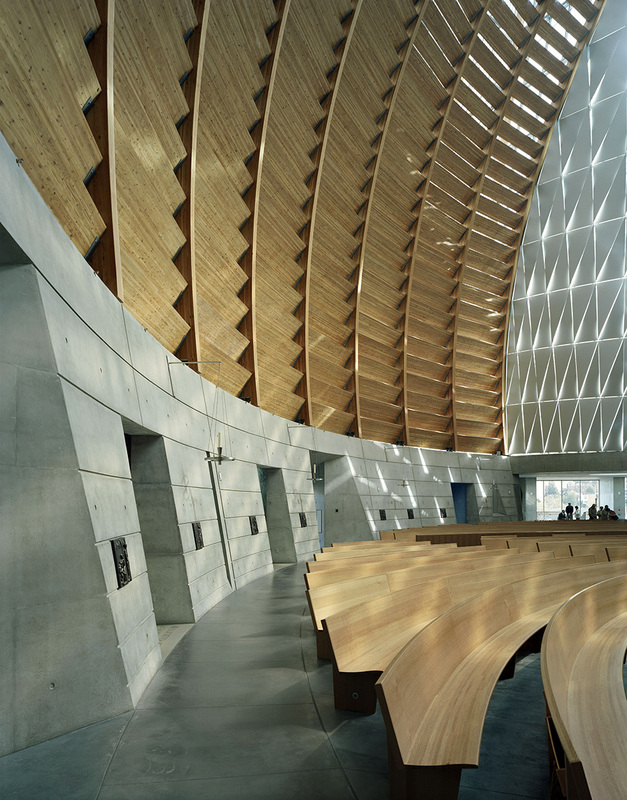 Wood panels modulate the sunlight though this airy shell. 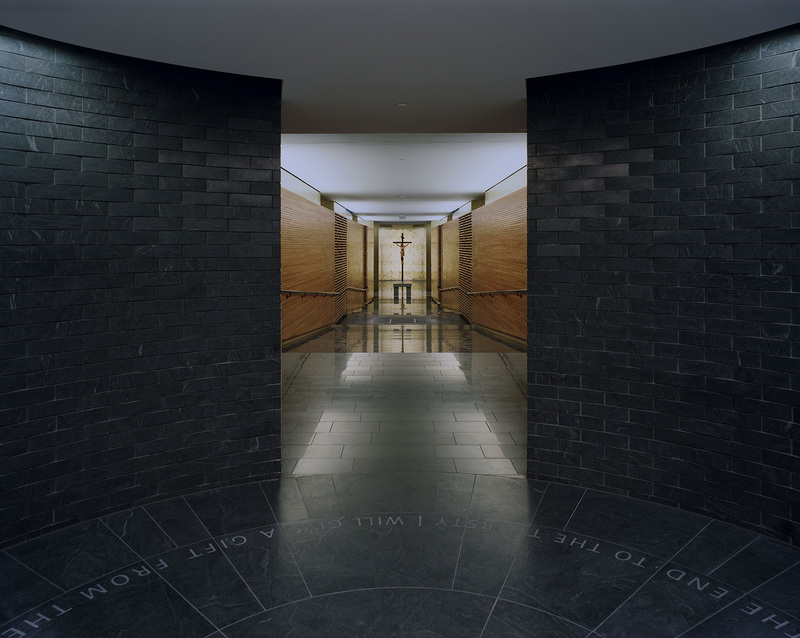 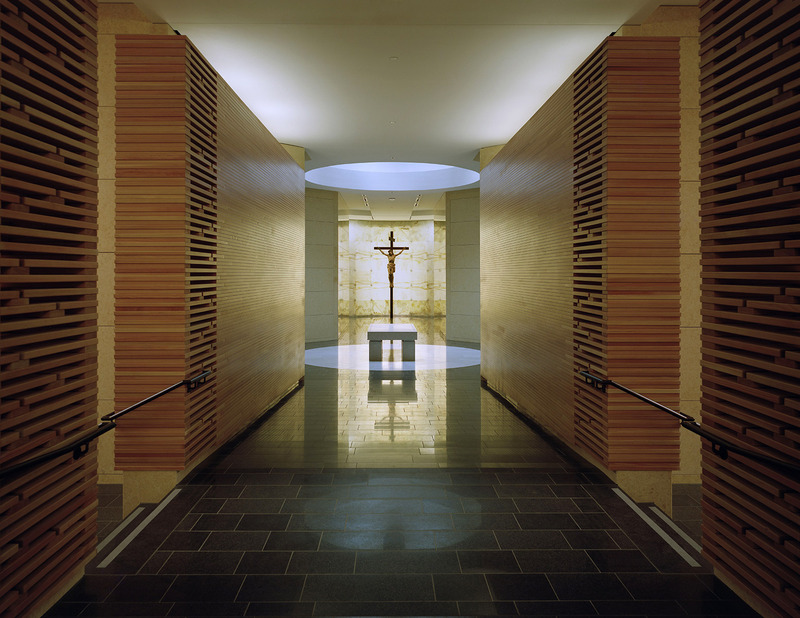 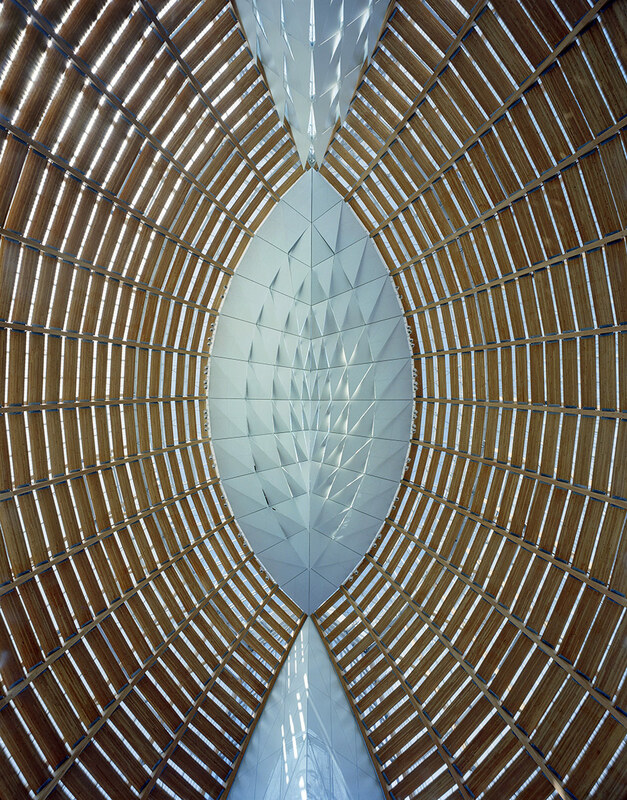 The end walls at the narthex and altar are frameless, pin-supported glass systems with perforated metal panels suspended on the interior side to control daylight. 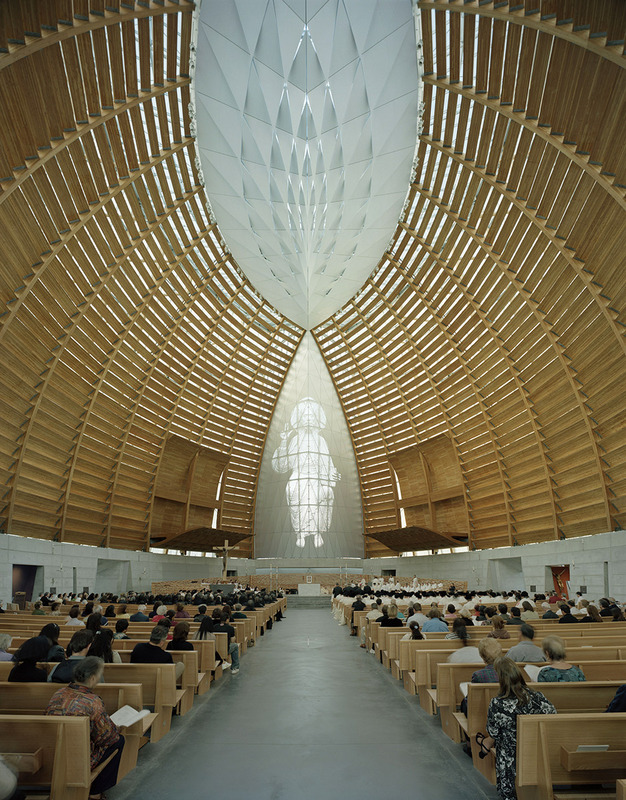 The pattern of the perforations in the panels over the altar is in the image of Christ to add symbolism and lend visual focus to the altar.